Hazmat provides a unique consulting service in that we are able to offer experienced consultants in the three key areas of OHS, Waste and Environment. Hazmat consultants are a team of tertiary trained industry experts with specialists in the fields of hazardous materials, contaminated land assessments, dangerous goods, occupational hygiene, industrial chemistry, risk management, environment, workplace training and waste management. Hazmat’s Managing Director and Principal Consultant is Andrew Russell, whose professional careers spans over 25 years’ in the broad disciplines of occupational health and safety, hygiene and risk management. 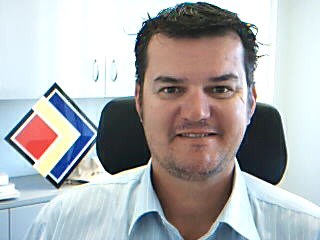 Andrew is a qualified Occupational Hygienist who has consulted to all levels of government and private industry and has been involved in a diverse range of projects of various scale through Australia and New Zealand. Andrew provides guidance on both technical and business orientated aspects of Hazmat.